While the media hypocritically train their focus on New Jersey Gov. Chris Christie’s bridge-closing scandal, the Obama administration is quietly sweeping its IRS scandal, in which officials terrorized citizens for years with invasive investigations, audits, burdensome litigation, and threats of criminal prosecution, under the rug. As reported by the Wall Street Journal, law enforcement officials have leaked the news that the FBI will not file criminal charges regarding the IRS’s disproportionate scrutiny of conservative groups. The officials insisted that investigators found nothing that would constitute a violation of criminal law. What they claimed to have found was evidence of bureaucratic mismanagement, leading to the enforcement of rules that were misunderstood. The case remains under investigation, but barring some unexpected discovery of additional evidence, it becomes increasingly unlikely criminal charges will be filed. House oversight committee chairman Rep. Darrell Issa (R-CA), who is in the midst of his own probe of the scandal, wasn’t buying it. “There is little reason for the American people to have confidence in this investigation,” Issa and oversight subcommittee chairman Rep. Jim Jordan (R-OH) wrote in a letter to Attorney General Eric Holder. “Anonymous–and apparently politically motivated–leaks from unnamed law enforcement officials further undermine the public assurances by the current and former FBI directors that this is a legitimate investigation. These leaks come after the Justice Department, citing the confidential nature of the investigation, refused to brief Congress on its progress and congressional investigators independently discovered that a high dollar contributor to the Obama Administration failed to recuse herself,” they added. 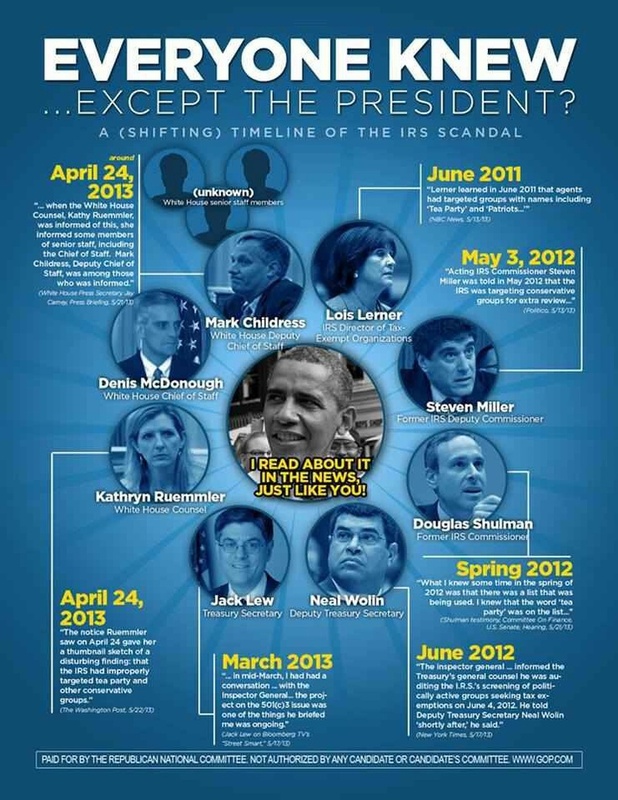 Bosserman’s ties to Obama go deeper than that. According to official visitor logs, Bosserman visited the White House in 2009 to attend a “hate crimes” event as a guest of the president. Despite the seemingly natural connection, due to her position in the civil rights division of the DOJ, a Department source told Fox News it was “extraordinary” that a career employee would receive such an invitation, further revealing that her attendance would have required clearance from several levels within the Civil Rights Division and the Justice Department. The same source also acknowledge that choosing Bosserman to head a probe of the IRS is ”extremely odd” because the more logical choice would have been someone from the Public Integrity unit of the Department’s Criminal Division. One would think the law regarding an investigation of wrongdoing by a government agency would include talking to the victims of the alleged wrongdoing. One would be wrong. As Cleta Mitchell, an attorney who represents many of the targeted victims reveals, the FBI hasn’t contacted any of her clients. “Normally, don’t you first interview the victims?” she wondered. “I mean, I’ve watched enough cop shows over the years. You interview the victims. You don’t interview the perp,” she added. Mitchell’s clients are hardly an anomaly. For more than half a year, the FBI failed to contact any of the 41 clients represented by the American Center for Law and Justice (ACLJ) either. “After seven months of no contact from federal investigators, a small number of our clients recently received a request for an interview from the FBI,” said Jay Sekulow, chief counsel for the ACLJ – late last week. Sekulow further characterized the investigation as a “sham.” ”To reach a conclusion that no criminal charges will be filed against those responsible for this illegal targeting scheme without interviewing any of our clients–the real victims in this ordeal– is absolutely absurd,” he said in a statement. Yet here we are eight months later, and the FBI is only getting around to interviewing victims of the scandal right now, even as they are simultaneously leaking information to the press that’s there no “there” there. Obama has changed his tune as well. ”They’ve got a list, and suddenly everybody’s outraged,” he told MSNBC host Chris Matthews in a recent interview. And in what has become a template for the DOJ, they are stonewalling the congressional investigation as well. As Issa’s aforementioned letter of Jan. 8 recounts, despite repeated requests for information from the FBI about the progress of their probe, that agency “failed to provide the requested information, and, after the [Justice Department] apparently interfered, the [FBI] withdrew” an earlier offer to meet with the oversight committee. Yet they can apparently leak their preliminary findings to the press, something that concerned Sen. Orrin Hatch (R-UT). He wondered how it was possible to dismiss any criminal violations prior to the conclusion of the investigation. ”These are serious matters – but to make this decision before the investigation is completed seems entirely out of order and inappropriate,” he contended. Last May, the IRS itself admitted they targeted for extra scrutiny groups with the words “tea party” or “patriot,” in their names. They also admitted that they had asked for information they don’t normally ask for, the most egregious of which was each groups list of donors. Lois Lerner, who initially admitted the wrongdoing. insisted there was no political motivation behind the effort, but she has since invoked her Fifth Amendment right against self-incrimination and retired. Last August, a 2010 video surfaced of Lerner speaking to a group at Duke’s Sanford School of Public Policy in which she acknowledged the pressure the IRS was under allegedly as the result of the Supreme Court’s Citizen United decision. The Court determined that political spending constituted free speech protected by the First Amendment, and that corporations and unions could spend money supporting or denouncing candidates for elected office. “Everyone is up in arms because they don’t like it,” Lerner replied to a question about the decision, adding that the “Federal Election Commission can’t do anything about it; they want the IRS to fix the problem.” ”Everyone” is this particular case is in reality the American left, incensed that “evil” corporations had been put on equal footing with unions. Lerner spoke on Oct. 19, 2010, only two weeks before the election in which Democrats lost 63 House seats and control of that chamber. Furthermore, it is possible the IRS may be singling out individuals as well. Frank VanderSloot, an Idaho businessman who contributed to a group in 2011 supporting Mitt Romney, not only ended up on an Obama campaign website suggesting he and seven other Romney supporter had ”less-than-reputable” records, but he was notified that he would be audited by the IRS and the Department of Labor. The latter audit involved checks of three Mexican workers based at his Idaho ranch that he hired under the H-2A visa program for temporary agricultural workers. Bill Elliot, an Obama voter and a Stage IV cancer patient criticized the president on Fox News after he lost his healthcare insurance in the middle of cancer treatments due to ObamaCare. Elliot is scheduled to be audited by the IRS in 2014 for his 2009 return, assuming he lives that long. After Elliot’s appearance on Fox News, insurance agent C. Steven Tucker saw the story and helped Elliot keep his insurance. Tucker is also being audited by the IRS going back to 2003. All three of these incidents may be coincidental. Perhaps a through investigation would determine that. Make that a continuing bureaucratic snafu. 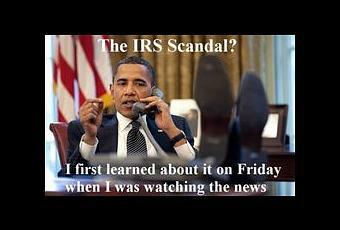 It is in the interest of every American to rein in an out-of-control IRS. That Democrats and much of the American left fail to see this investigation in that context is remarkable. They would be wise to remember that no political party maintains control indefinitely, and that the power to abuse is an equal opportunity scourge. Even more so, when there are apparently no criminal consequences attached to that abuse.